MattWhat is a matt finish?Matt-finish cabinets don’t reflect any light at all and look more flat than a gloss finish does. Matt finish is the perfect choice for more traditional-style or country-style kitchen cabinets that have routed fronts – gloss is too shiny and modern-looking for these styles of kitchens. A matt finish also looks just as good on contemporary-style flat cabinet fronts as it does on more traditional-style fronts, and appears to be growing in popularity. 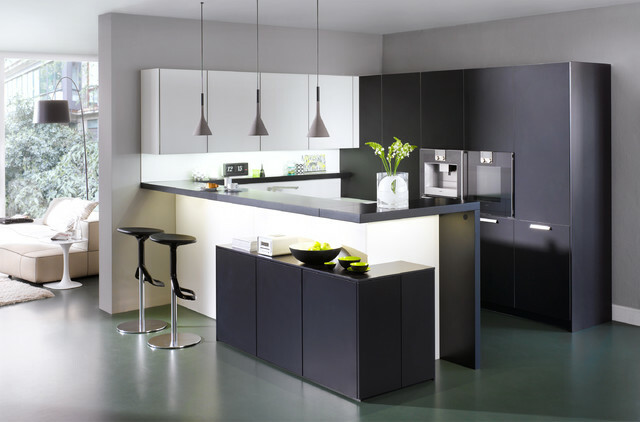 In fact, in Europe, matt-finish cabinet fronts are now more popular than gloss. Matt finish cabinets concerned that it does look cheap? love the contrasting colors with the light and dark effect.